Lucy Miller Murray, Founder of Market Square Concerts, inspired the artistic excellence of the chamber music series for 27 years. Her commitment to new music and emerging artists balanced Market Square Concerts’ presentation of great traditional repertoire and internationally acclaimed ensembles and soloists. Her other chamber music associations have included board membership of Market Square Concerts, the Bard Music Festival, Associated Chamber Music Players (ACMP), New York Friends of Chamber Music and Concert Artists Guild. 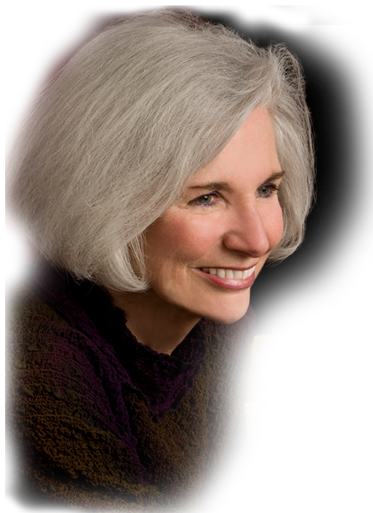 She also served as vice president and board member of Chamber Music America, the national service organization for chamber music. Her articles on music have been published in Chamber Music magazine, the national publication of Chamber Music America, in Philadelphia Music Makers, and in the American Music Center’s online publication, New Music Box. Her fiction has appeared in Prism International and Phase and received awards from WITF, Central Pennsylvania’s National Public Radio affiliate. Composers Jeremy Gill, Jake Heggie, and Paul Moravec (2004 Pulitzer Prize for Music) have set Lucy Miller Murray’s poetry to songs for mezzo-soprano Sarah Wolfson, winner of the 2007 Concert Artists Guild International Competition. The songs received their world premiere by Sarah Wolfson and pianist Renate Rohlfing at Market Square Concerts’ 30th Anniversary Celebration Concert in 2012 at the Rose Lehrman Arts Center. Additional songs using her poetry inspired by works in the Metropolitan Museum were set by composer/pianist Michael Brown for soprano Naomi O’Connell. Jake Heggie’s setting of her poem, “Would That I Were Edna St. Vincent Millay,” was recorded in 2014 by soprano Laura Strickling and pianist Dmitri Dover as part of the SongFest program of The Colburn School in Los Angeles and performed at Opera America National Opera Center in New York and at the Philadelphia Academy of Vocal Arts by soprano Regina Zona, a specialist in the American art song, and pianist Kathleen Tagg. In July 2015 at Chamber Music Northwest, soprano Evanna Chiew, clarinetist David Shifrin, and pianist Yevgeny Yontov performed songs by Jeremy Gill, Richard Wilson, Michael Brown, Paul Moravec, and Jake Heggie set to Lucy Miller Murray’s poetry. A full performance of the songs was presented by Concert Artists Guild in September 2018 at the Kosciuszko Foundation in New York City with soprano Sarah Wolfson, baritone Mischa Bouvier, clarineists Yoonah Kim and David Shifrin, and pianist Renate Rohlfing. Lucy Miller Murray holds a Bachelor’s degree from Chestnut Hill College, a Master’s degree from Temple University, and a certificate from the Publishing Procedures Course at Radcliffe College. She was a member of the adjunct faculty in English at Harrisburg Area Community College. Her music studies include work with Benjamin Whitten of West Chester University, Daniel Epstein of the Raphael Trio, Stuart Malina, Music Director of the Harrisburg Symphony, and Peter Sirotin and Ya-Ting Chang of the Mendelssohn Piano Trio. She has been a regular participant in the Raphael Trio Chamber Music Workshop, the Lake Placid Chamber Music Workshop, and the Curtis Institute’s Chamber Music for Adult Musicians.